A little while ago, I started following @eatsamazing on Instagram. She really makes some cool lunches. Well, one day I spotted her little monster egg on her IG feed and fell in love. 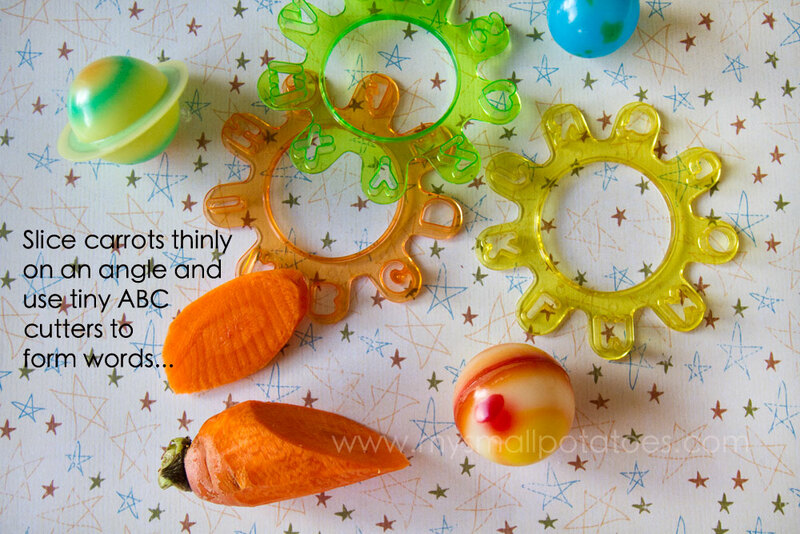 It’s so very simple to make…just a boiled egg with a few dotty food picks sticking out and some googly eyes! I decided to create a whole lunch around this little idea, and it went like this… I used the end of a straw to remove a “plug” of egg white and put edible eyes in the holes that were left. I used these dot picks to create the alien antennae. I used a small star-shaped cutter for cheese and apple salad. For the rocket ship sandwich… I used the cookie cutter to cut each slice of bread, meat and cheese one at a time, and then stacked them up into a sandwich. Trying to cut the whole sandwich with a cutter is frustrating and messy. 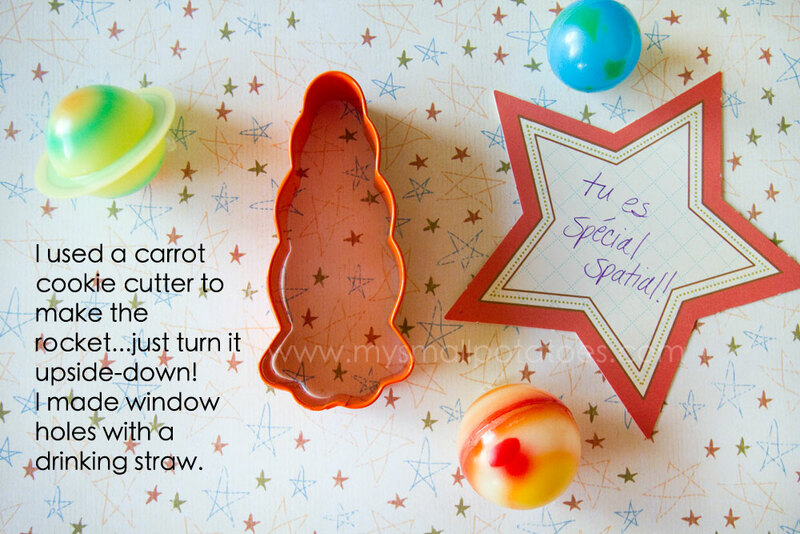 The letters were cut from carrots that were thinly sliced on an angle to get more surface area out of one slice… *The abc cutters can be found here in plastic, or here in stainless steel. *The “eye-ball” dividers between the sandwich and the fruit were little picks I found in the party section of Toys R Us. I simply removed the picks and lined the eyeballs up to overlap across the whole bento box. 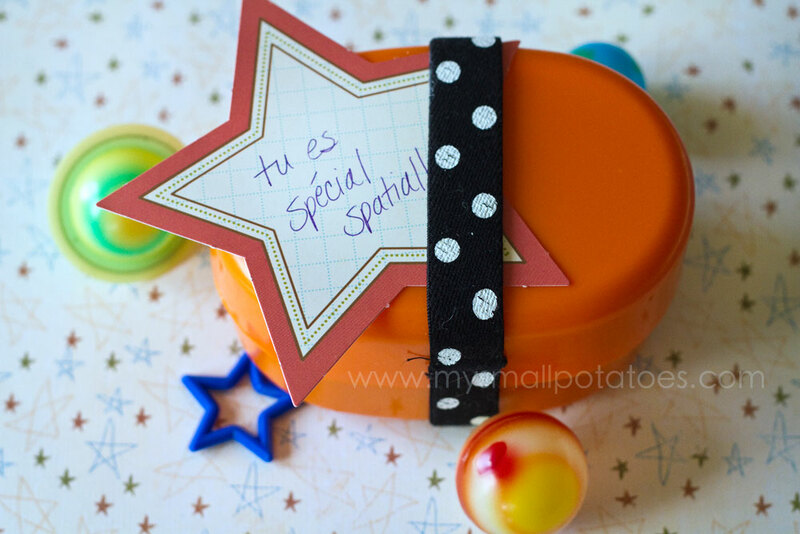 All wrapped up with a special note for my youngest son… He was pretty excited to see what was inside this special lunch… *The large star-shaped pick can be found here. 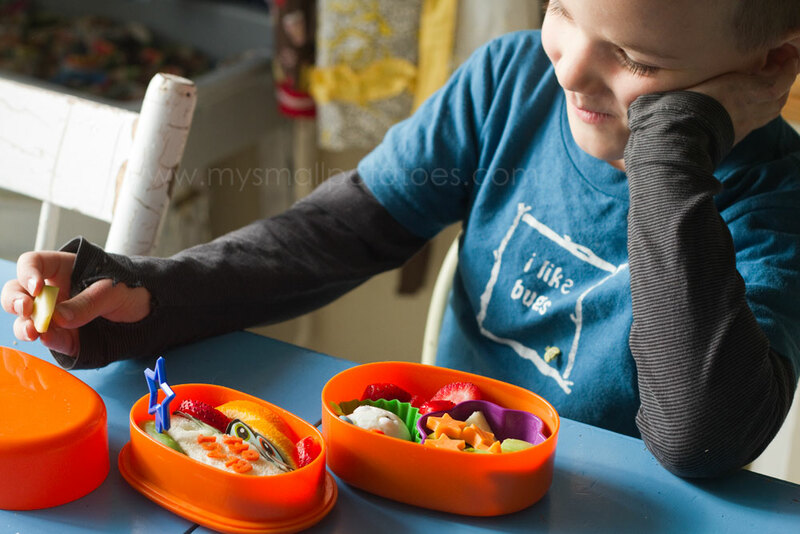 Posted in Bento Boxes, Cooking, creativity, Early Childhood, Fine-motor skills, Food, Fussy eaters, Imagination, Japan, Lunch, Meals, Nutrition, picky eaters, What's In YOUR Bento? My dream is to become you. I think your bento boxes are A.Mazing! Looking at this lunch makes me think of Lola and Charlie’s “I Will Never, Not Ever Eat a Tomato”. Great lunch, great book! I’ve recently started following this blog.. Impeccable creativity! 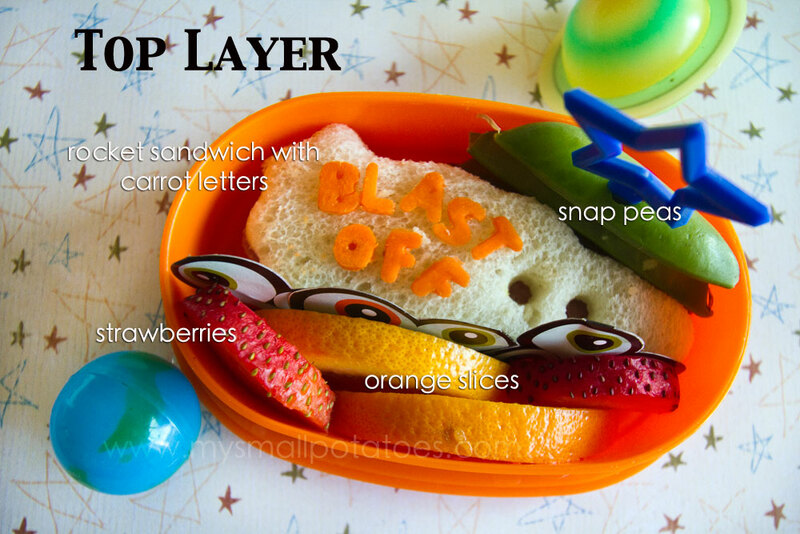 I browsed through other bento ideas too.. Just loved it !! He has the most Beautiful Smile!! 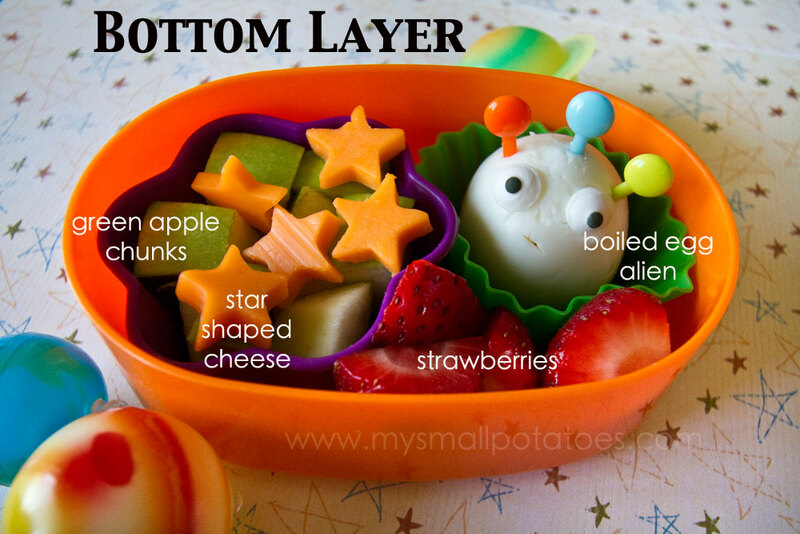 I’m going to make my Kaden an Alien Bento….thank you for sharing! Just started following your blog, great ideas. Added you to my blogroll at megandz.wordpress.com – awesome ideas! Love these! 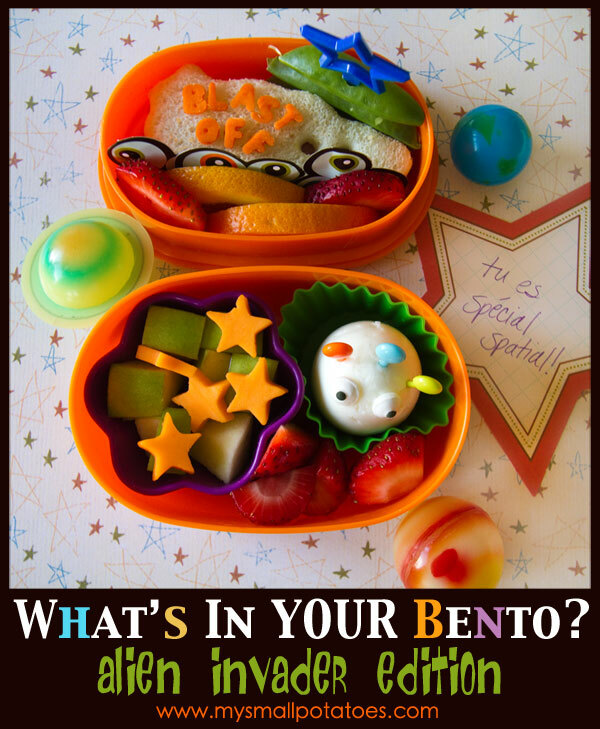 Would love for you to join the UFO & Alien bento linky party – and you already know someone there! Nice looking Bento! i like your ideas, very creative! Definitely a better looking bento than a typical one!